The Organization for Security and Cooperation in Europe points the finger at Vladimir Putin. A new international human rights report has further confirmed that LGBTQ people are being abused, tortured, and even executed in Chechnya. News began to surface early in 2017 of LGBTQ people, especially gay and bisexual men, being detained by Chechen authorities and placed in makeshift prisons that amount to concentration camps, where they are tortured and in some cases killed. Those who are released to the custody of their families often are in danger of being murdered by relatives. Some have escaped to other countries. In November, 16 member countries of the Organization for Security and Cooperation in Europe, including the U.S., called for an investigation of the situation in Chechnya, a semiautonomous republic within Russia. Today OSCE rapporteur Wolfgang Benedek released a damning report. “The evidence clearly shows that the allegations of very serious human rights violations in the Chechen Republic of the Russian Federation have been found confirmed,” the report states. “This concerns in particular allegations of harassment and persecution, arbitrary or unlawful arrests or detentions, torture, enforced disappearances and extrajudicial executions. In particular, several waves of violations of human rights and abuses of persons based on their sexual orientation and gender identity in 2017 could be confirmed. New purges were identified affecting alleged drug addicts and even teenagers. Russia appears to lack the “political will” to rectify the situation in Chechnya, Benedek writes, saying the republic “is treated like a special case … for the sake of stability.” Chechen separatists have been fighting for independence from Russia off and on since the 1990s, so it is in Russia’s interest to placate the republic. 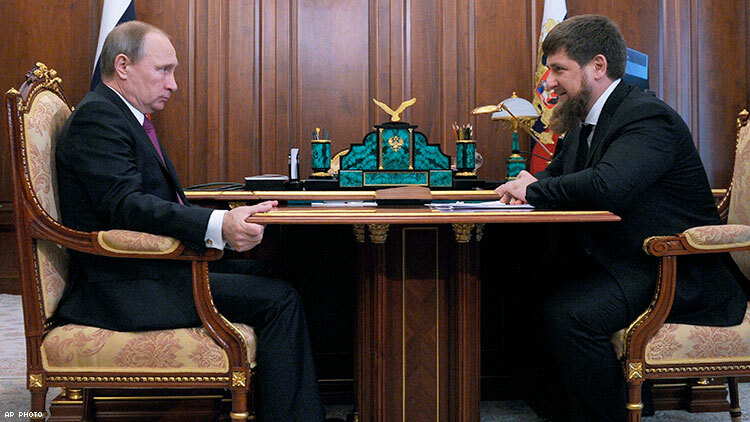 Chechen leader Ramzan Kadyrov has the support of Russia’s government. Benedek recommends several measures to address the human rights violations. He calls on Russia to open “an inquiry into the actions of the government of the Chechen Republic towards [LGBTQ] persons in general, as well as a criminal case on the alleged violations of the human rights of [Maksim] Lapunov in particular.” Lapunov, who says he was detained and beaten by Chechen police for being gay, is the only victim of the antigay purge who has been willing to reveal his name. Chechen authorities have resisted opening an investigation and have been backed up by courts. The report also says the Russia must make sure the Chechen government and law enforcement comply with all domestic laws and international human rights standards. And it calls for the immediate release on bail of activist Oyub Titiyev, who heads the Chechen office of a human rights group called Memorial. He was arrested last January on a charge of possessing marijuana, which he and his colleagues say was planted in his car as part of a plot against Memorial. The State Department has previously condemned the anti-LGBTQ purge in Chechnya, as has Nikki Haley, U.S. ambassador to the United Nations, who will leave that post soon. Donald Trump, however, has said nothing about it. Russian President Vladimir Putin has promised an investigation into the situation, but Chechnya’s Kadyrov denies that there are any LGBTQ people in the republic — and has said if there were, they would be killed by their families or driven out of the country.